Can’t find a physician who can tell you why you hurt or help you find relief for your ongoing pain? Recently had surgery to relieve your back pain, but your condition seems worse than before? The Institute of Medicine of the National Academies reports that 100 million Americans suffer from pain that will not go away, and 12 million Americans who seek outpatient medical care are misdiagnosed each year. A second opinion can be the front line of defense against misdiagnosis, but how do you make the decision which physician you are going to contact for that second opinion, and do you feel as if you have to go to Houston, Cleveland, Baltimore or Rochester to find someone who can help? With most major decisions in your life, you rely on more than one source of information – buying a car, shopping for a new computer or taking a summer vacation. Isn’t your health just as important, and shouldn’t you seek as much information as possible in order to decide what is best for your medical care? Seeking out the right physician is not ever an easy task, whether it’s for your initial diagnosis or a second opinion. When it comes to your health, you need someone who is reliable, experienced, well credentialed and most importantly, someone with whom you feel comfortable, who listens to you and who values your opinion. How do you find this person in a convenient location, close to your home? • Determining if the physician is boardcertified. Board certification is based on the completion of a minimum amount of training as well as passing rigorous exams. In many specialties, it assures that the doctor continues education by passing ongoing exams or participating in medical education events. • Choosing a physician convenient to you rather than you having to travel to specialty centers. This often means that he or she will be there in emergencies or after hours. • Selecting a physician who is the right choice for you – someone who is qualified, experienced and who communicates with you in a way you understand and feel comfortable and who explains your condition and treatment to your satisfaction. • Choosing a physician you can trust and with whom you are comfortable, considering age, gender, language, background, training and personality. • Opting for a physician you are not afraid to ask questions and who listens to you because you are often the key to your own diagnosis and who is not only comfortable with you seeking a second opinion, but who encourages you to seek that peace of mind. If a doctor in Alexandria or Minden tells you no one else can help you, that should tell you all you need to know to seek a second opinion. A second opinion can help you avoid being misdiagnosed and give you confidence that you are receiving the most appropriate treatment for the condition you are facing. If your original physician recommends surgery, but there are effective non-surgical treatments for your condition, such as back or knee pain, seek the input of a physician who offers non-surgical treatments like physical therapy, pain management and/ or lifestyle changes such as weight loss and exercise. Sometimes doctors get it wrong. 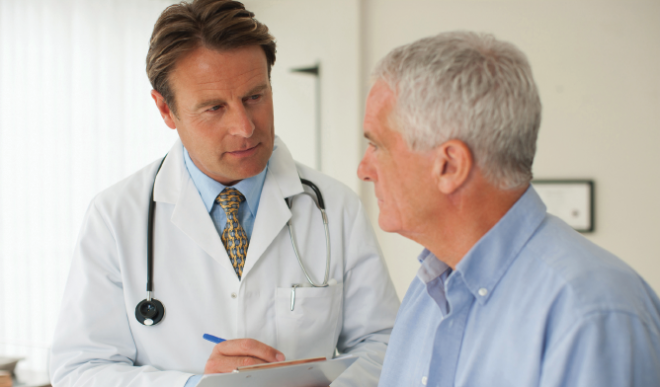 Second opinions can bring peace of mind and encourage patient engagement. If your physician doesn’t support you getting a second opinion, see how fast you can run. Dr. Wheat is a graduate of Louisiana State University Medical School, Shreveport. He earned a residency in physical medicine and rehabilitation at Louisiana State University Medical Center, New Orleans. In 1997, Dr. Wheat completed an internal medicine residency at Louisiana State University Medical Center, Shreveport, and then earned a board certification in electrodiagnostic medicine. His Shreveport office is located at 385 West Bert Kouns Industrial Loop, Suite 500, and his Natchitoches office is located at 138 East 5th Street. To find out more about his practice and how he can help find the source of your pain, go to www.wheatmedical.com or call 318-352-4477.